Ford Motor Company and its dealers are investing $2 million over five years to address hunger in New England. 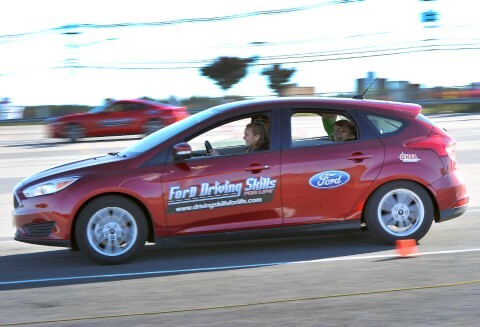 Ford contributions include a new Transit van for The Greater Boston Food Bank, and Ford Driving Skills for Life (DSFL) teen driving programs in Boston and Hartford, Connecticut. Innovative community outreach programs are part of Ford’s growing community presence across the U.S.
Ford Motor Company is expanding its commitment in New England by launching a new philanthropic initiative with local dealers that will include $2 million to fight hunger across the region. Ford Motor Company Fund, the charitable arm of Ford Motor Company, will provide support, including vehicles, to 10 food banks in Connecticut, Maine, Massachusetts, New Hampshire, New York, Rhode Island and Vermont over five years. Ford is working with Feeding America®, the nation’s leading domestic hunger-relief organization, in connection with its outreach in New England. 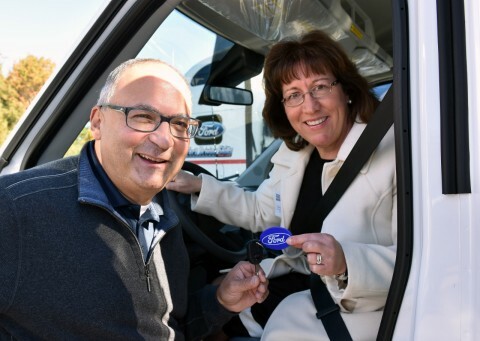 Vella made the announcement at an event with local dealers, community leaders, and food bank representatives where Ford delivered the keys to a new Ford Transit van to The Greater Boston Food Bank (GBFB). GBFB will use the van to help deliver food to individuals facing hunger in eastern Massachusetts, becoming part of a national network of Ford Transits the company launched six years ago to meet hunger needs. Over the last decade, Ford has helped provide more than 100 additional vehicles to Feeding America member food banks. These vehicles enable food banks to collect food and grocery donations received from retail stores, farmers and manufacturers and get it to people facing hunger. Ford announced the latest philanthropic collaboration with its dealers at an event that also brought the award-winning Ford DSFL program to New England. Hundreds of teen drivers from the area will experience a safe driving course that puts them behind the wheel with professional instructors. Including today’s new programs, Ford and the Ford Fund have invested more than $12 million in hunger-relief, education and other New England community service programs over the past 10 years. Ford’s expanded investments in the New England region are part of Ford Fund’s Operation Better World initiative. Launched in 2008, the Operation Better World framework enables the Ford Fund, Ford dealers and other groups to collaborate on a strategic approach to philanthropy and more effectively meet community needs. Including New England, the Ford Fund has launched Operation Better World programs in 25 cities and regions around the U.S.